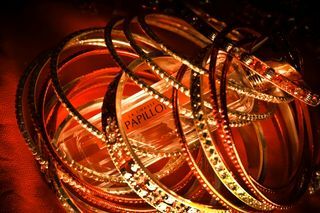 What perfume would you have liked to receive as a gift this holiday season? 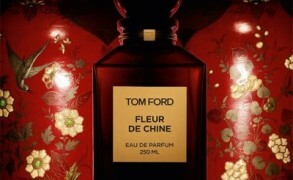 Are you giving a scented gift to anyone this year? I hope that Chanel Coromandel is among my fragrance gifts this year, because after going through several decants, I decided that I am ready for a full bottle. The scented presents I am preparing include Cire Trudon candles and Estée Lauder Private Collection Jasmine White Moss body cream. Ann C.: I bought two, one for myself and the other one for my husband. I bought a bottle of Omnio Profumo Oro for myself and a bottle of SL Five O’Clock au Gingembre for DH. Elizabeth: I’m giving my mother an Alien set, including perfume, shower gel, and lotion. It’s her favorite and she is running low on it! Suzanna: I have given a duo of Lauder scents–Bronze Goddess and Tuberose Gardenia, and I have gifted myself with Bois des Iles parfum and Nasmatto Nuda. I gather I have been pretty good to myself this year. Suzy Q: I hope you Santa brings you Coromandel! I’ve been wearing it the past three days, falling in love with it all over again. I bought myself the small bottle with income tax return money earlier this year. I made a decant of Coromandel to send to a friend for Christmas. She likes Angel and Bulgari Black, so I think she’ll like this. Olga: As usual, I want to receive more than I want to give! 😉 not because I’m selfish, though, quite the opposite. I am not giving scented gifts because none of my family members are fond of those, even my husband. Does tea count? I plan to give a tea sampler to my sister in law. Everyone else gets clothes, jewelry, notebooks, etc. My husband gets a bunch of tools and gardening related stuff. bulldoggirl: I would be thrilled to find a bottle of PdN Sacrebleu or Angel EDT under the tree. Maddy: I’m not giving my husband a scented gift this year. He is very picky about his fragrances.